Lunch & Learn: "Pathways To Prosperity"
Name: Lunch & Learn: "Pathways To Prosperity"
We all understand that Workforce Development is of critical importance to both the community and businesses in the County. The Bethany-Fenwick Area Chamber of Commerce and Delaware Technical and Community College's (Del Tech) Office of Work Based Learning invite you to a discussion on "Pathways to Prosperity." Learn what Work-Based learning is all about, what progress is being made at both the state and local level, what's ahead and how you can get involved. Join us for a Lunch & Learn on Thursday May 16, 2019 from 11:00am to 1:00 pm to gain insight into this important issue facing us all. The presentation will be followed up with a short Q&A session. Registration is required as seating is limited. The cost is $10 for members and $15.00 for none members and includes lunch. 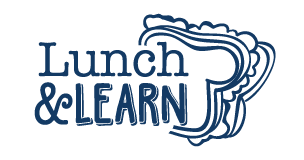 Lunch & Learn meetings are intended to increase member education and awareness of important issues which can impact your business and allows you to network with other business community members. Whether a dynamic speaker, an educational workshop or a true networking event, Lunch & Learns are long-standing traditions in serving as an informational platform for the business community. And, to add to the excitement?lunch will be served!